They're so cute! That cat couldn't figure out which mouse to chase first... lol. o.O Extremely freaky. My mom would pass out if she saw that video. Thank you, Kiki, for giving me a new thing to have nightmares about. THAT WAS FREAKY!!!!!! They're so cute! EWWWW! They were EATING the pig!! Awww....so cute! YUCK!!!! They're burning the bodies!!!!! I didn't enjoy the full grossness of the video because I kept thinking things like 'Lemmings!' and 'How did they all end up in the same place? Why? Were they planning this?' Then I realized it would be nearly impossible to walk and imagined stepping on a mouse. Even stepping on a bug sort of freaks me out (OMG I killeded something!) so I'm sort of afraid to put my feet down for some reason. "A modern-day plague of Biblical proportions." That definitely puts the Ten Plagues of Egypt into perspective. No wonder Pharaoh let the Israelites go. I don't think that's disgusting for some reason. But still...wow...that's a lot of mice. OMG I LITTERALLY THREW UP IN MY MOUTH WHEN I SAW THAT VIDEO! Omg! Why would their daughter try to EAT a mouse? Was there so little food that she was starving or something? *shudders* Kirsten/Ananka/Kiki, is that kinda like how you imagined the rat infested shadow city? Because for me, it comes pretty close to my mental image. ok, i couldn't finish that. it reminds of my literally crazy cat who chews herself. i am an obssesive animal lover and vegetarian. also, i would like to recommand a FABULOUSLY INCREDIBLY AMAZING book, (sounds like a kiki strike book, huh? :D) called skuldugery pleasant. i LOVED IT!!! it's really great, and involves magic, a walking, talking skeleton, and an awesome female main character. it's a book any kiki fan would love. you're right. cute and disgusting. i realy like mice. but i realy dont like what i saw... i didn't even finish watcing the video for fear of throwing up (on my favorite chinease style shalwar kameez) heh heh heh. Yikes! I could not walk in there, I feel sad when I step on a snail by accident, worrying about stepping on a mouse would be a hundred times worse! Aww...mice! Well I didn't think that was disgusting really...but the fact that the daughter tried to EAT a mouse...wow. That would be disgusting to see. Aaaah, something interesting to talk to my friends about, regarding our beutiful nation Australia. "We had a rodent infestation in 1993. I was bad. Really bad"
P.S:To all those people who think us Aussies say worlds like, crikey, snags, sheila, dunny and all that stereotypical stuff from tv, it's not true. At least, to some point it isn't. We're not bogans with beer and Bonds singlets. Quarguana: So would my mum. I scare her with fake lizards! hehe. Imagine having that many chickens, coming out of your front door. Bliss! I watched for less thana minute and I got a small headache; that is so, so creepy. It makes me think of the Shadow City! That is soooo soooo sooooo scary!! Hey Ananka? This is kind of... 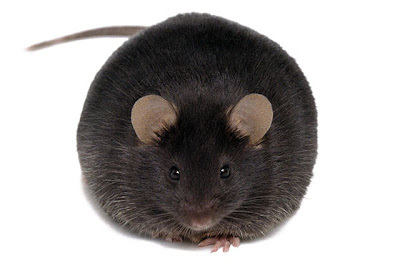 I can't think of a decent adjective, but can I use the picture of the large, fat, circular rat to make a Piece of Flair on Facebook? Haha...I found my friend Michele's comment on here. I totally agree with her, too. This wasn't all that gross. But then again, I've had a pet mouse AND a pet hemster, so rodents aren't exactly a new thing to me. I would be a little freaked out if I found any like the rats in the Kiki Strike books. I don't think I can agree with the girl trying to eat the mouse, mainly because I stopped the video before that part so I didn't get to the point where I DID find it gross. it says unavailable! like the phychic one! Please take me AWAAAAAAAYYYY!!!!! Ananka, will you please adopt me? I love my mom,dad,and step mom, but i'm booooooooooored with my life! Please ,send kiki to tennessee! Please! Email me back!! !